This is part 2 of my work to edit my magic items for a DMsGuild release, along with adding cursed items along the way. Here is part 1. Using this pearlescent femur as a focus when casting a non-hostile divine spell on another creature has a 1 in 10 chance of keeping that spell in the caster’s memory even after it is cast. Each use of the bone in this manner weakens the bone, and its durability die must be rolled each time. The bone starts with a d20 die and decreases in die size each time it is rolled. On a result of a1, the bone’s fractures become too much and the bone splinters. Breaking a Saint’s Bone will cancel all curses and hostile spells within 100 feet that are level 4 or below. Each creature freed from such an effect regains hit points equal to the total spell levels of curses negated on themselves. The durability die of this Bone of a Saint is increased by one die size each week it is buried in the cremated and sanctified remains of a heretic of the same religious beliefs, to a maximum die size of a d20. The Bottled Bar is a large glass jar containing a miniaturized tavern complete with flickering lights in the windows and moving patrons. Uncorking the jar will rapidly grow the internal tavern, manifesting it in the space around the opener. This creates a permanent tavern in this location, filling what space it can in the surrounding 30 foot cube with a fully stocked tavern. This includes fuel, firewood, food, drink, fireplace, tables, beds, interior walls, utensils, glassware, etc. A single Unseen Servant tends this tavern under the command of the owner of the tavern. Behind the bar is a mounting plate that will perfectly fit the jar. Ownership of the tavern can be passed by the previous owner or by having physical ownership of the now empty bottle over the course of a long rest. The Bottled Hell’s giant glass jar contains what appears to be a miniature tavern, mine, armory, or other useful location. However, once the jar is opened, it will rapidly grow to fill the surrounding space with torture devices, horrors, and demonic shadows. Up to a 90ft. Cube becomes a miniature hell that attempts to trap and torture all mortals that enter its space. Creatures entering the miniature hell must make a dexterity or wisdom save, DC 15, or become restrained. Those restrained by this effect are tortured physically and mentally for 2d6 damage each round until their shadowy captors are deal at least 30 damage. After dealing the damage, the creature is no longer restrained for one round, but must make new saves if they remain in the miniature hellscape at the end of their next turn. Each restrained creature has its own set of captors, so killing one set does not free other captured creatures. The bottled hell is otherwise made of shadow-stuff that is barely tangible, with shifting forms that appear as creatures worst fears. If one of the demonic shadows is ever killed by radiant energy, against which they are vulnerable, the Bottled Hell returns to its unopened form to await someone new to open it. Like its cousin, the Bottle Bar, this large jar contains a doll-sized version of its namesake. Inside is a tiny mine, complete with uniformed foreman, shadowy miners, and enough heavy equipment to keep them working. Uncorking it creates a mass of equipment needed to run a fully functional mine: tools, carts, foreman’s shack, storage shed, treadmill-crane, track, and a dozen shadowy miners lead by a uniformed shadow-foreman. The foreman will obey the commands given by the owner of the mine. The foreman’s desk in their shack has a large drawer that will fit the jar perfectly in its velvet lining. Ownership of the mine can be passed by the verbal consent of owner or by maintaining physical ownership of the jar over the course of a long rest. The shadows act as Unseen Servants and can mine as much, total, as a trio of professional, human miners could without needing rest. A Bountiful Staff is a vine-wrapped, ash-wood staff. Commonly made by hedge-mages and lay-healers, it is a boon to nature focused spellcasters. By utilizing their own spells, this staff allows the wielder to cast Druidcraft, Shillelagh, and Entangle by expending a spell of equivalent or higher level. Harvesting or hunting while holding this staff increases the yield by 1 ration. Glimmering, silvery wings magically spring forth from the back of this polished +3 scale mail. The wings allow the wearer to glide indefinitely, falling 30 ft. each round and moving horizontally 60 ft. For up to 30 minutes each day, the wearer can take flight with good maneuverability at a speed of 50 ft. per round. Any healing effect the wearer applies to others has hit point restoration increased by 50%, rounded up. Five minutes worth of flight can be expended to create 1 round of a 30 ft healing aura, causing the silvery wings to glow. The healing aura heals 10 hp to each creature that starts its turn in the aura, deals 10 radiant damage to undead that start their turn in the aura, removes curses as per the spell cast at 2nd level, and acts as a protection from evil spell each round. Uncorking the swirling, cloudy vortex in this clear wine bottle will expel a blast of strong wind in the direction of the opening that lasts for 1 minute. If outdoors, the weather will become one step cloudier for the surrounding mile within 12 hours for the next week. This has a corresponding effect on other types of weather related to the cloud cover. 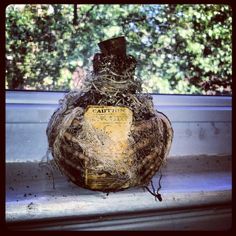 When released indoors or underground in an insufficiently large space for weather to take place, the strong gusts rush back into the bottle or another suitable container and re-cork themselves after the initial minute of gusting. The bottle can be used as an action once each day, but reusing it in the same area merely lengthens the effect but does not increase its severity. A white and blue painted Cloud Staff lets its wielder cast weather related spells through the staff. In addition, with a small tap of the fluid-filled, marked, glass topper, the wielder can call forth a small cloud to hover over their head. This cloud creates a personal bubble of mundane weather in a five foot radius: a cool breeze, light rain, snow flurries, or a warm wind. Spell casters holding the staff may use equivalent or higher spells in order to cast the following spells using the staff instead of their own spell list: Fog Cloud, Gust of Wind, or Sleet Storm. Weather related spells cast while holding the staff last one additional unit of time. A weapon or armor, crafted of strong steel and then given an edge without again touching the heat of a forge. Cold iron retains its attunement to the material plane’s natural order, and this attunement allows it to bypass racial damage resistances, in the case of weapons, or ignore racial damage bonuses, in the case of armor, of fey, demons, and other chaotically aligned outsiders. Using cold iron and striking a creature under the influence of a charm or enchantment effect from chaotic outsiders takes damage as normal but is allowed to make a new save against that effect, although with disadvantage. Cold iron is more fragile than tempered steel, and is vulnerable to sonic damage and has disadvantage on saves versus destruction. A bright, diamond, head-sized crystal cut in the shape of a heart. The heart must be charged up by pure, unfiltered sunlight. For every consecutive day of sunlight exposure, sunrise to sunset, the Crystal Heart of Light stores more energy. Every day without sunlight, it loses one day’s worth of stored energy. Days of partial sunlight neither lose nor gain energy. The heart has only 1 hit point and an AC of 14. It can only take damage from a purposeful, directed, destructive action against it alone. After one day, it shines brightly in the dark, casting out bright light for 100 ft and dim light out to 200 ft. After three days, it also gains a 50 ft cleansing aura that imposes disadvantage on all rolls by undead and all dead corpses within 50 ft are blessed by a Gentle Repose each noon. After seven days, the cleansing aura increases to a 200 ft radius. Necromancers within 1 mile are dampened in their abilities, with the number of necrotic undead that can be controlled being decreased by 2 HD per caster. After fifteen days, the cleansing aura expands out to 500 ft and the dampening effect spreads to 2 miles away from the crystal heart. The light shines with daylight out to 250 ft and another 250 ft of dim light beyond that. After thirty days, the heart can touched to corpses affected by Gentle Repose to create up to 30 HD of blessed undead each day up to an hour after dawn. Holy undead are purely mechanical in function, having no attachment to the deceased soul. They are healed by radiant damage but vulnerable to necrotic damage. Their flesh becomes whole, if pale, and they are wrapped in pure white silk robes and a faceless, white ceramic mask. They cannot speak but understand all commands. They serve the wielder of the Crystal Heart of Light unquestioningly. Without commands, they will protect living creatures from harm, subdue violent creatures, and destroy necrotic undead. Creating undead uses 1 day of solar energy for every 3 HD of undead created. At the maximum charge of three hundred days of sunlight, the cleansing aura extends for 1 mile, the dampening of necrotic undead control increases to a 5 HD reduction within a 5 mile radius. This wicked blade was first forged by a tormented blacksmith who lost his wife to the tortures of a mad king. Some say opportunistic demons were his muses. It functions as a battleaxe and will rend the flesh of its enemies. The Demon Cleaver acts as a +1 longsword and on a hit, the target must make a Constitution save, DC 13 or suffer a -1 penalty to rolls and 1 bleed damage each round until healed. On a successful save, the creature instead takes a -1 pain penalty to all rolls for 1 round. A +1 leather armor made from the cured hides of demons, sewn with hair of the bearded devil and dyed a mottled red-black with the blood and fluids of the innocent. This squirming leather cuirass grants advantage on intimidate checks, resistance to fire damage, and once each day the wearer can cast Fear as a 2nd level spell as an action, DC 14. Once on a creature or ingested, Dimensional Salt causes any and all teleportation attempts by the creature to fail. The extraplanar salt mix only lasts for ten minutes once exposed to air, water, or a creature’s metabolism before it breaks down. When used on a creature, there are three doses in each pouch of salt. The light pink grains can be ground into a fine powder or mixed into an oily paint to instead block teleportation through the covered surface. When mixed this way, the salt will last ten times as long before oxidizing and can cover up to ten, five foot squares. The substance is the refined substrate left behind when gods move between planes. If used as part of a ritual casting Wall of Force or similar spell over the same salted surface three days in a row, the teleportation blocking effect lasts for one year or until the surface is destroyed. If this ritual of threes is done three times in the space of that year, the teleportation blocking effect is permanent until the surface is destroyed. Divine Incense is an amalgamated wax made from the melted down clippings, trimmings, hairs, nails, skin flakes, and detritus of demi-gods. A delicate balance is required in the choosing of materials, too weak a godling and no power can be gleaned from the incense. Too strong a god on the other hand will have leavings that are too strong to distill down properly. Divine Incense, when burned, provides a temporary boost of one additional spell slot of each level for the divine caster that inhales its fumes. If multiple creatures partake of the Divine Incense, they choose which receives each bonus spell slot, deciding randomly if there is no consensus. Each additional creature that inhales the smoke, up to four creatures in the five foot radius, ensures that a little less of the smoke goes to waste, adding 1d4-1 additional spell levels worth of spell slots to the spell slot pool. Creatures gain no benefit from bonus spell slots of levels they could not normally cast. These bonus spell slots are lost once they are used or when the character takes a long rest. Doom Wraith Drums are made from stolen funeral garb stretched over tear soaked ebonwood drums. Banging on the drums as a bonus action each round makes a somber, stifled sob along with its deep drum. Enemies within 60 ft suffer a -2 penalty to all rolls until they spend an action to make a Wisdom save, DC 11, to clear their thoughts. Creatures that make this save are immune to the drums effects until they complete a long rest. If any creature dies while under the effects of the drums, it rises 1d6 rounds later as a zombie. These zombie are affected by the Doom Wraith Drums in reverse, gaining a +2 bonus to all rolls. Up to 10 HD worth of zombies can be created and controlled by the drums as a free action, even when they are not being played. Undead that would cause the drums to exceed that limit fail to be raised. The drums can be played for 5 minutes, in 1 minute minimum intervals, each day with no penalty. Each minute after this requires a performance check, DC 7 + minutes already played this day, or the wearer begins dancing in a horrid, jerking manner for the next minute while the drums play themselves. While dancing, the user takes only the dodge action and if they move they must end their movement in the closest location possible to their previous location. A cape of downy feathers drapes over the shoulders of a white, +2 scale mail. Any magical attack against the wearer is transformed into a swarm of doves, centered on the original target. This includes spells of which the wearer is one target of many or area spells where the Dovescape wearer is only one target. The swarm of doves will attack at the originating caster’s commands on their following turns. If the source of the spell is mindless, the doves target the Dovescape’s wearer and adjacent creatures each turn. The doves will shatter into shards of light, dissipating harmlessly after 1 min. per spell level. Dove Swarm: 1HD (5hp), ATK 1 (Beaks and Talons) DAM 1d6, saves as a F1, Move 5ft/Fly 50ft. *The doves gain 2HD (10hp), one five foot cube of size, and 1d6 damage for each spell level of the transformed spell. **A swarm attack hits any creatures in a space the doves occupy at the beginning of the creature’s turn. This glass jar contains a dry, light purple dust collected from risen mummies. Anyone who inhales the gas must make a Constitution save, DC 16, or contract mummy rot. There are five uses in each jar, a small pinch can be thrown as an action to fill a five foot cube within five feet. A branch of holy wrapped delicately in a blanket of unmelting snow is an enchanted druidic focus. With the proper command phrase spoken in Druidic, “Life will find a way”, a spellcaster can convert a spells to an equivalent level Cure Wounds spell. Healing spells cast on a creature replenishes their hunger and thirst as if they had eaten and drank fully for the day. Healing spells cast on plants and non-sapient animals heal an additional 3 hit points per healing die. They say a dwarf’s heart never fully cools after they die. This elaborately carved, seamless block of coal formed around a dwarven smith’s heart, when stoked, is hot enough to fuel a normal forge, but it itself is never consumed. In an existing forge, it grants a +1 tool bonus to skill checks. On it’s own, the Dwarven phrase, “Welcome Home”, will unfold the black rock into a basalt forge with an attached anvil. The fire in this forge needs no fuel, but the subtle beating sound of a heart can be heard when listening closely. The forge and anvil are sized for a Dwarf, other creatures may take a penalty to use them. These leather-bound, smoked goggles diminish the light the wearer see by one step, while granting darkvision out to 120 ft, even against magical darkness: Daylight is treated as bright light, bright light becomes dim, and dim light functions as darkness. Effects that rely on sudden bursts of bright light do not affect the wearer. In addition, the wearer can see white-violet streaks and striations in stones, metals, and gems that they could not see before. They have advantage on crafting, appraisal, or dungeoneering check related to stones, metals, or gems. The wearer has immunity to gaze attacks. The Dwarven Staff is a four foot stone rod shot through with veins of dark ore. Dwarves wielding this staff gain a bonus spell slot of the highest level they can cast. Spell casters can cast the following spells using an equivalent or higher spell slot: Identify, Heat Metal, Glyph of Warding, or Stone Shape. Skill checks for creating, summoning, or crafting metal, stone, or gem based objects is made with advantage while holding this staff. With a dearth of free time, I will be using my weekly blog posts to force myself to finish updating the last of my magic items for release in a DMsGuild product with my end goal being a print-on-demand hardcover of all my magic items in one tome. To fit with the trend of responses to my “what magic items should I add” questionnaire and to fit with the theme of Profane and Profound, I will be adding a cursed item to each batch of items I update. Note that I am having to delete my old site because I messed up the back-end badly enough that I have to restore it. Pardon the dust as I fix it. An even mix of purple and green-yellow powders squirm inside a small ceramic pot or leather bag. When throw, the powder explodes into a 5 foot sphere of swirling fog for 1 round. Any object or creature that begins their turn inside the smoke or enters the smoke must make a Wisdom save (DC 15) or be polymorphed. One random held or worn object of each creature must also save or be randomly polymorphed into another object of similar size. Creatures failing their saves are transformed into either a random animal, a random magical creature, or a random creature of their own category (demi-human, humanoid, demon, etc). This effect lasts for 2d6 rounds. A willing participant instead can attempt the Wisdom save to choose which of those three categories their polymorph target is chosen from. Marked with holy symbols, profane markings, or aligned runes, this weapon disrupts the very nature of creatures diametrically opposed to its chosen alignment, dealing +2d8 damage. A neutrally aligned weapon instead deals an extra +1d8 damage to creatures without a neutral aspect to their alignment. Wielders who are opposed to the weapons alignment suffer feedback equal to half of the extra damage dealt from this effect. Thick, golden nectar swirls inside this crystal vial. Downing this sweet honey heals the imbiber for 2d8 hit points, removes two levels of fatigue, and offers an additional save against a single ongoing mental effect. Adorned with black, flowing robes, this +2 plate mail has large pauldrons and sits impressively on the shoulders of all wearers. The wearer gets a +1 bonus to Charisma checks. If the wearer is lawful neutral, they also gain advantage on checks to sense motives, discern lies, or persuade others in debate. Three times each day, the wearer can create an aura of sanctuary as a move action, requiring all creatures within 15ft to make a DC 14 Wisdom save in order to take a hostile action. This effect lasts for 1 minute or until the wearer commits a hostile act. Massive oaken arms keep taut one-hundred, gossamer-thin, steel strings on this harp carved with reliefs of flying ramparts, soaring minarets, and sweeping arches. In the hands of one proficient with harps, invisible laborers can be called forth by stroking the strings. With careful attention, the harpist can control this invisible workforce as 500 unskilled laborer-hours. Alternatively, 10 unskilled laborer-hours can be expended for 1 skilled laborer-hour. Only construction type work can be accomplished by the Architect’s Harp. The work is completed over the course of two hours of continuous playing. In the hands of a skilled harpist, the harp’s effect can be extended beyond that limit, but each additional hour requires a difficult skill check (DC 12 + the number of hours the harp was played today) or the strain will be too much, splintering the harp. Each additional hour provides another 250 unskilled laborer-hours. The strings fly loose when it breaks, dealing 6d6 slashing damage to everything within 20 ft. of the harp. 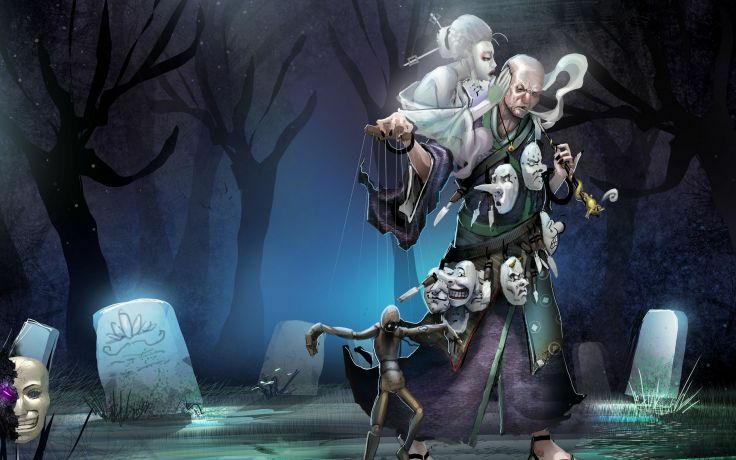 Creatures other than the player may make a Dexterity save against the performance check DC to take half damage. The harp may not be used again until repaired. The Armor of the Martyr can be made of any type of armor, but the armor is distinguished by its change when donned. Armor of the Martyr will change to reflect the soul of the wearer, turning pearlescent white on a good aligned creature, a smokey black on an evil aligned creature, or turning a steely grey on an unaligned. This +2 armor fills the wearer with an inner strength, reflective of their soul, each time they drop to 0 HP. This inner power explodes from them, dealing 5d6 radiant, necrotic, or force damage, respectively, to all creatures within 10ft, and 2d6 damage to those within 20 ft. A Wisdom save, DC 15, reduces the damage by half. The wearer is protected from this damage only the first time it explodes out from them each day. An Armory in a Bottle holds a pile of miniature weapons, shields, weapon racks, and tools. Smashing this bottle causes it to explode open, as the innumerable glass shards coalesce and transmute into a mess of scattered swords, shields, spears, javelins, bows, armors, and tools sitting neatly upon appropriate racks and shelves. These will form non magical equipment of whatever type and distribution the bottle smasher has in mind. If nothing in particular is chosen the equipment will be typical for a human garrison of foot soldiers. The Armory in a Bottle can only create 1500 SP worth of equipment. The bottle will always generate the appropriate accoutrements, tools, and scrap materials for sharpening, maintaining, and resizing the equipment created at no cost. A felt bag with felt animal patterns stitched to the outside is filled with silver and blue marbles. Tossing one up to 30 ft away turns it into a small animal. Roll 2d6, the first to determine the animal type and the second die results in the Bag of Tricks being exhausted for the rest of the day on a result of a ‘1’. The animals types are 1: A badger, 2: A bird of prey, 3: A jungle cat, 4: A viper, 5: A tortoise, or 6: A poisonous frog. These animals last for 10 minutes or until killed and are loyal but typical members of their species, able to follow verbal commands as a trained animal. A Greater Bag of Tricks is a felt bag with gold-trimmed, felt, animal patterns sewn to the outside. It is filled with gold and purple marbles. Tossing one up to 30 ft away turns it into a large animal loyal to the thrower. Roll 1d6 for the animal type. Also, roll 2d6, if the result of the first die is 3 or less, the bag of tricks cannot be opened again until the current animal(s) are gone. The animal types are determined by the second die: 1: A wolverine, 2: An eagle, 3: A lion, 4: An anaconda, 5: A hippopotamus, or 6: A small dinosaur. These animals last for 15 minutes or until killed and can follow verbal commands as a small child. A felt bag with felt animal patterns stitched to the outside is filled with small red and white marbles. Tossing one up to 30 ft away turns it into a small animal loyal to the thrower. Roll 1d6 for the animal type. 1: A rat, 2: A small bird, 3: A house cat, 4: A tiny snake, 5: A small turtle, or 6: A frog. Then, roll 1d6, on a result of 1 or 2, the bag of tricks is mysteriously empty of marbles for the rest of the day. These animals last for 5 minutes or until killed and will follow simple verbal commands. A felt bag with felt animal patterns stitched to the outside is filled with platinum and lapis marbles. Once someone has reached in for a marble and tossed it up to 30 ft. away, the marble will turn into a small animal hostile to the holder of the bag or the thrower if no person currently holds the bag. The animals types are 1: A badger, 2: A bird of prey, 3: A jungle cat, 4: A viper, 5: A tortoise, or 6: A poisonous frog. Every time the animal successfully hits the holder of the bag, another marble jumps from the Bag of Schemes and turns into another hostile animal. Animals summoned from the Bag of Schemes last for 10 minutes, until killed, or until both the thrower and the current holder of the bag are dead. This black, mithril chainmail has wisps of white silk caught in its metal rings. Banshee chain is made by bathing +3 Mithril chainmail in the blood of an elven maiden or bachelor then burying them with an expensive silk death shroud which then attaches itself to the mail. This +3 Mithril chain mail is medium armor but can be treated as light armor. Twice per short rest, when the wearer is struck, the Banshee Chain can release a 30 ft. radius banshee wail. Living creatures make a Wisdom save, DC 12, or begin dying, dropping to 0 hit points with one failed death save already failed and becoming deathly pale. If they make the save they suffer 3d8 necrotic damage instead. Once stabilized, they regain their pallor and return to half their previous hit point total. Any creature that perishes while under the effects of the Banshee Chain will arise as a zombie the next midnight under the control of the wearer. The wearer can control up to their HD in zombies. New zombies that would exceed this limit wander aimlessly, hungering for living flesh and attracted by sounds of fear. The head of this +2 flail is a pale white, screaming face made of marble. When swung, the head emits a quiet sob, but upon striking will release a blood-curdling shriek, sending shiver up the spine of those nearby. Creatures within 30 ft must make a Charisma save, DC 13, or be stunned for 1 round. On a successful save, they take a -1 penalty to attack rolls against the wielder of the Banshee Flail until they spend an action to calm their nerves. The wielder and creatures that have suffered from its effects already in this combat are immune to the Banshee Flail’s effects. A lacquered, fist-sized knot of oak hangs from a simple silver chain. When worn, it turns the wearer’s skin to bark, conferring a +2 natural armor bonus. If the wearer is on fertile soil under sunlight when they take a short rest, they regain 1d8+2 hit points as small green leaflets bud out from the bark and small roots extend down into the soil. The user rolls twice and takes the better of the two results if they drench themselves in at least 2 water-skins of water during this short rest. The beast bomb is a matted bundle of a dozen balls of brown hair, feathers, and scales tangled together. Tossed up to 20 ft away, the beast bomb scatters into a swarm of tiny animals fitting the current environment. These animals take up ten square feet and deal 1d6 damage each round to any creature that begins its turn in their space. Those creatures also take a -2 penalty to all rolls. The swarm obeys the simple verbal commands of the thrower, can move up to 20 feet each round, can climb, and will last until the swarm takes 20 damage. After five minutes or upon taking enough damage, the swarm will disperse. Roll a d6, and on a result of 3 or higher, the scattering swarm leaves behind a new Beast Bomb. A Greater Beast Bomb is made up of over a dozen wiggling ovals of coarse black fur and plumage. This beast bomb creates a crazed swarm of small animals fitting the local environment when it is thrown up to 30 ft. The swarm occupies a contiguous twenty square feet and deal 3d6 damage each round to any creature that begins its turn in the space the swarm occupies. Affected creatures make all rolls with disadvantage as the larger, more vicious swarm cunningly interferes with their actions. The swarm obeys the verbal commands of the thrower, can move up to 30 feet each round, can climb, and will last until the swarm takes 50 damage. After one hour or upon taking enough damage, the swarm will disperse. Roll a d6, and on a result of 6, the swarm reforms at a quarter its previous maximum hit points for one minute, otherwise it leaves behind a new Greater Beast Bomb, except on a ‘1’ result. When this cluster of beige fuzz balls are tossed to the ground, they transform into a swarm of tiny, scared animals. A beast bomb can be tossed up to 10 feet and turn into a five square foot swarm of diminutive fuzzy creatures appropriate to the terrain that cause any creatures that begins it turn the swarm to take a -1 penalty to all rolls. The swarm obeys the simple verbal commands of the thrower, can move up to 10 feet each round, can climb, and will last until the swarm takes 10 damage. After five minutes or upon taking enough damage, the swarm will disperse. Roll a d6, and on a result of 5 or higher, the scattering swarm leaves behind a new Lesser Beast Bomb. Thin jewelry wire formed into this bronze cage is filled to its brim with grey and white feathers. Smashed open or tossed up to 30 feet away, the Bird Bomb explodes into a flock of tiny birds fitting to the local environment. Hundreds of nervous birds scatter in every direction in a cacophony of bird calls. This grants total concealment to everything within 20 ft of the avian explosion for one round and concealment for 1d4 rounds following. The birds quickly scatter but not before knocking down any unattended objects and knocking prone any creature within 60 ft that fails a DC 10 strength save. Made of finely carved pine, this huge wooden feather transforms into a five foot bird when broken. The bird will take on the coloration the user has in mind when it is summoned. It can carry up to 100 pounds and obey simple verbal commands. The bird will become aloof and fly away after one hour. HD 1 Medium AC 12 ATK +4 (Beak) DMG 1d4+1 MOV 20 ft. FLY 90 ft. S 11 D 13 C 7 I 3 W 9 C 8. This gnarled, blackened staff is carved with obscenities and blasphemies against every known god and cult, plus a great many unknown ones. Any cleric or priest that wields the Blasphemous Staff takes 5d6 psychic damage each round unless they renounce their faith. Any being of standing with any god would receive great blessings from their deity for destroying this staff. If the staff is wielded by a creature hostile to the gods and that has a hatred of believers, their spellcasting abilities are improved. They gain an additional spell slot of each spell level they can cast, 5th level and below, and this additional spell slot can be used to cast a spell from the Wizard or Cleric spell list. Each time a spell is cast from a spell list the character would not normally have access to, roll 1d100 + twice the spell level cast. On a result of 100 or more, the gods have noticed the Blasphemous Staff, roll 1d6: A powerful religious order or numerous murder-cults have now been instructed to kill the player, an earthquake strikes in 1d4 rounds, whatever the player tries to eat or drink in the next day turns to rotten maggots, the player rolls at disadvantage for the next day, the player has ominous dreams, or the gods squabble, doing nothing. As an attack, touching a divine spellcaster with this blackened thigh bone will force them to make a save using their spellcasting statistic, DC 12, or lose a random uncast spell slot until they complete a long rest. Each use of the bone in this manner weakens the bone, and its durability die must be rolled each time. The bone starts with a d20 die and decreases in die size each time it is rolled. On a result of a 1, the bone’s fractures become too much and the bone splinters. If the bone is broken, on purpose or accidentally, it negates all divine spells of 4th level or lower in a 100 foot radius and all divine casters must save using their spellcasting statistic, DC 18, or lose their 2 highest level spell slots until they complete a long rest. The durability die of the bone is increased by one die size for each week it is buried along with the desecrated corpse or bones of a saint on holy ground of the same religious beliefs, to a maximum die size of a d20. Despite having all these still-unpainted miniatures from years of Reaper kickstarters, I recently played a game where I didn’t have suitable miniatures for a bunch of statues/golems. I could have used other minis, but why should I hold out to perfectly paint all these humanoids while I lack for scatter terrain? So, I grabbed some different metallic paints and some grey to create a handful of sets to fit that purpose. The process was simple, I attached them all using E6000 to some plastic bases then hit them with grey spray-primer. Afterwards, they got a solid coat of their respective colors. Finally, I hit them with a very dark, extremely watered-down wash. It went quick and now I have a set of statues I can use to color-code puzzles, decorative terrain, or easily-identified mechanical monsters. Don’t make my mistake and sit on all of your miniatures when they can get put to use! For those of you following my blog, I am transitioning over to a wordpress host. As part of that, I figured out how to replace the links site-wide to point to the right place but it requires re-importing everything back to the wordpress site. If you are subscribed, you may get email notifications. Posted byadmin January 21, 2019 Posted inMiniatures, Painting, Reaper Miniatures. With some paint, glue, sand, and grass flocking, I have finished up the scatter terrain I started here. I really enjoy my shipping containers, although they ended up being a little large compared to the scale of the cars. Bonus internet points to whoever can guess what the characters on the orange container are. Another fun task is adding the graffiti to various bits of concrete barrier. The flocking is woodland-scenics light-green fine turf and clump foliage. I thought the broken cork bits made for good ruined road segment, but I did have to add some drywall putty to fill in the larger gaps that glue with sand weren’t up to filling. This year has been been tougher to find time and inspiration to do as much blogging as I would like. Work has been slowly increasing my responsibilities so I have less mental energies to blog with when I get home. My pageviews and number of visitors has taken a corresponding hit, dropping by about a quarter to a third compared to last year. It isn’t great, but I am also not putting in the same amount of time or effort to post or promote as I was before. I have not done a single Fiverr commission but I didn’t find it all that lucrative compared to other ways I can spend my time (read: lots of DIY housework). My only product release this year was Arcane Arsenal on dmsguild, where I earned a total of $171.86 in royalties from ~1700 downloads. Not bad for only releasing one new product, but it is a drop of roughly $40 and ~300 downloads compared to last year. Despite my own decreasing investment, I cannot help but appreciate all of you who follow me, read my work, and download the things I have created. Increase my total income supporting this site by 20%, whether it comes from royalties, commissions, or other paid work. This will help me afford more stock-art, purchase more products to review (and use at my own table =D), and pay for site maintenance. With the lessor amount of work I put in this year, my totals went the other way, dropping instead of increasing. Create an update for Improvisr this year to fix bugs, add more content, and fix grammatical issues. Incorporate reader comments and suggestions. I haven’t touched this program this year. Get a greenscreen and post at least one map, town, or dungeon module using a map displayed that way. -This one I did do, not the greenscreen part, but I used my terrain as the map for my One Page Dungeon Contest entry. Write-up my backlog of campaign summaries, putting out at least three blog posts of campaign summaries written in an entertaining fiction style. I didn’t do this one either. Include a short link and summary to my favorite RPG related blog post at least once each month at the bottom of a blog post. -I started out doing this but stopped shortly into the year. In short, I only completed one of my resolutions. Not a great year for me blog-wise, but I like to think that I’ve gotten a lot done on the homefront this year: I studied for and passed the Professional Engineer test, got a second dog, brought in a bumper crop (canning/preserving a great deal of it), discovered some new liqueurs that I like, built new furniture with my wife, and painted some rooms. I am scaling back my resolutions for next year, as I can only see more non-blogging related work ahead, but not enough that I am worried about not keeping my roughly once-a-week schedule. Put out two paid product releases on DM’s Guild. Finish one of my current series: Art of Being a Monster or Archetype Backgrounds. Migrate over to MeWe and a free wordpress hosted site. Submit an entry in this year’s One Page Dungeon Contest. What are your blogging stats and resolutions? Do you have a favorite post of mine from this year? Thanks to some unique packaging that came with a few gifts we recieved for the holidays, a dollar store mini-jenga, and some unwanted cufflinks, I was inspired to do some terrain crafting to go with my cars. -Those shipping crates are hot-glued cardboard topped with corrugated sheathing included in a new set of pots and pans we got for ourselves. -The soon-to-be broken roads are cork board that I’ll be adding gravel and sand flocking to, along with some burnt grass flocking. -Random machinery bits are things like hot sauce bottle tops, a drawer knob, and a few electrical bits (transistor plug-in, copper crimps, and a plastic wire-protector). The trio of pipes are the tubes on the inside of puppy-bag rolls. -I have a set of jersey barriers and high-barriers that will get some gravel, be painted to look like concrete, and maybe get some graffiti. They came from a $1 mini-jenga set. The poor quality of the wood is a bonus, it means I have to do less distressing! -Three gun turrets were made from two cufflinks, some small wire crimps, and for the third turret, a champagne bottle topper, a wooden whiskey bottle top, and a couple nails. -Some stick-on rubber footies got turned into dragon’s teeth, a sort of concrete anti-vehicle/tank fortification. They’ll get some rubble and a flocking of grass. -My rock formations are glued down from a bag of mixed quartz rocks. -Lastly, my six gates use small plastic rods from some old device we were tossing out, glued together with old fuses and in one case a cut dowel. I strengthened the coardboard with a wooden coffee stirrer. When they’re painted up, I’ll give them a metal finish with simple roman numerals on top to denote the order they must be passed through. Any questions about the exact process I used to make any of these? Got suggestions for a cool paint job? What should I make next? I am looking to move my site to a free wordpress hosting, you can check it out here and let me know what you think. The options are more limited, but my time is becoming more scarce and I can’t justify spending money on my own hosting with how much I am using it. Also, I am contemplating starting a MeWe, so I’ll keep you updated on where to find and follow my works. Before taking up the mantle of adventurer, you lived a simpler life where you designed and crafted all manner of toys. It might have been a hobby turned profession or perhaps you had apprenticed to a more experienced toymaker. Your toys might have made royalty squeal with delight, brought joy to the downtrodden, or may have just been the market niche you found your way into. Regardless, your keep was earned in creating toys, puzzles, games, and diversions for all ages. Tool Proficiencies: Tinker’s Tools and Woodcarver’s Tools. Equipment: Artisan’s outfit, a bag of 15 gp, 15 sp of miscellaneous materials, Tinker’s tools, and Woodcarver’s tools. 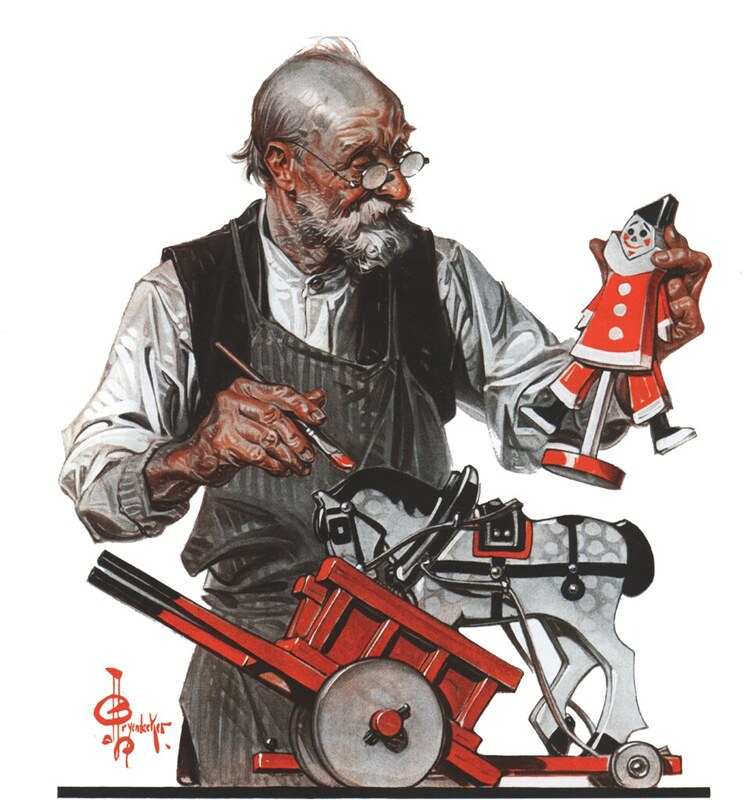 Curio Savant: Over the course of a short rest, if you have access to artisan tools you are proficient with and appropriate raw materials worth 5 sp, you can craft a toy prototype. This tiny object of your choice can be used as an action to recreate one effect possible through the Prestidigitation spell, chosen during creation, with the effect lasting up to one minute. After each use, roll a six-sided die, and on a result of 3 or less, the toy breaks. You can only have one such object at a time, but unless destroyed, toys can be reused for parts. Toymakers took up their unusual line of work out of a passion for making curious objects of fun and the child-like joy they bring to people. Most find their way to this profession by way of a family trade or personal hobby, especially in creating games and toys for the children in their life. 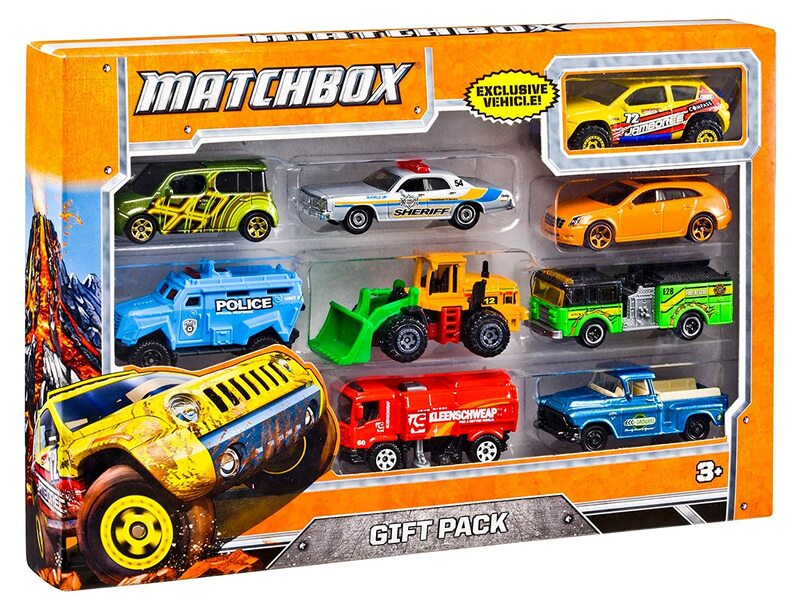 Some toymakers, however, use their gifts as a cynical ploy to separate the gullible and innocent from their coin with deceptively marketed toys. It takes a certain dedication and imagination to turn offal and cast-off bits of wood into objects of enjoyment and wonder. I make toys because I enjoy them, and I only reluctantly give one away. With all these ideas in my head, it is a certainty that some fall out to become real. Art is defined by how others interact with it, toys are true art. I wouldn’t want to waste my life away with a boring job. Children and fools are easy marks, and toys are their favorite purchases. With lives so dreary, the curious and fun are necessary distractions for all people. I am just following my family’s traditional line of work, it’s not my passion. I invent toys to help support my own esoteric line of research. My workshop is my sanctuary. A trail of disappointed customers have seen my toys fall apart after I left town. Grown children still remember my kind gift of a toy from years ago. I have created some dangerous or troublesome gadgets in the past, and they haunt me. As part of a professional guild, I pay dues, but I can call on their support for materials or tools. A noble or wealthy individual is obsessed with my works. When an idea takes hold, I have to build it, or at least sketch it out. I cannot resist taking advantage of people who seem gullible or childish. If one of my toys breaks, I break inside. Children suffering or being deprived tugs my heartstrings until I help them. I find it difficult to talk to others without using toys to gesticulate or emote. I have to know how unique mechanisms and traps function so I can copy their designs. I am sure you are avid followers of all my magic items but would love a way to quickly reference them all. Well, I see no reason I couldn’t collect them all into one easily searched and sorted list. As I create more items and update their descriptions for DungeonMaster’s Guild releases, I will update this google sheets collection too. All for the low price of $0, well, actually I do have a price. Take a look through and fill out this form to suggest more items, criticize mine, or call out which items offend any 3 of the 26 elder gods. I spent this week painting and kit-bashing a dozen cars as a sort of starter set to try out Gaslands. I got to try out some Dremel tool bits I hadn’t used before to cut up some old mini’s for guns/bits. After gluing on the bits and pieces, I taped up the portions of windows I wanted to keep and hit them all with spray-paint base coats. For the ones that I wanted to keep the matchbox paint job I used clear matte finish to cut the shininess. For the others, they got a mix of black and silver spray-paint to get a bare-metal look. Painting up gaslands cars is easy an fun! If you slightly muss up the paint job, who cares! Having the freedom to make mistakes means that I got to play around until I got my cars looking great. To round out my “starter set” I grabbed color templates from the gaslands forums. With some spray adhesive and left-over cardstock from used up notepads from work, I created cardstock driving templates, tokens, and cards. Firstly, thank you to those of you sending links my way for some Gaslands cars, stay tuned for some car painting. This week’s post is just going to be a summary of various points of interest around the web and my own life. A new pup is demanding my attention, but you can enjoy her cuteness. Her new big brother can’t wait for her to be big enough to play, but right now she can only really toddle around. I’ll be taking the test for my electrical professional engineering license on Friday. Anyone got any last minute advice? LizardmanDiaries has a quick and dirty random room generator, and a link to creating your own similarly. This might be a great opportunity for me to break up some of my most used functions from my improvisation program into web-based generators. Is drawing a two-handed sword from the back practical? Is it only for traveling? Do you need a special scabbard? 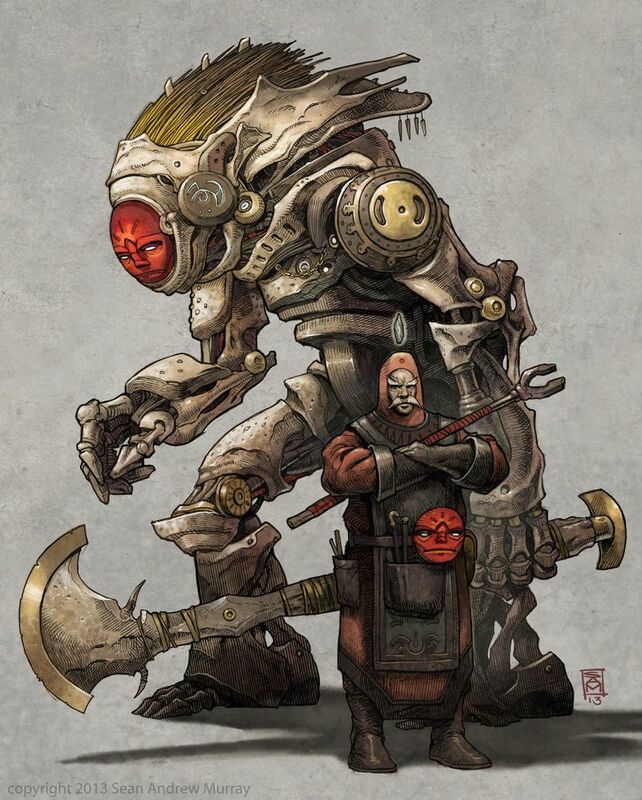 (btw, Skallagrim and Shadiversity are great channels for the intersection of fantasy, weaponry, and practicality. In the same vein, historically two-weapon fighting has not been an effective or common fighting style. But what would it look like to make it mechanically match the common interpretation of the badass fighting with two axes or two swords (or lightsabers)? Dungeons and Delvers blog talks about some of their ideas when designing their own game. A reddit discussion about buffing two-weapon fighting in D&D 5e. My players are attempting to finally seize control of the Walking Armory, a mountain-sized elemental and siege weapon that has been wandering the wastes after great magical calamities wrecked the empire that created it.